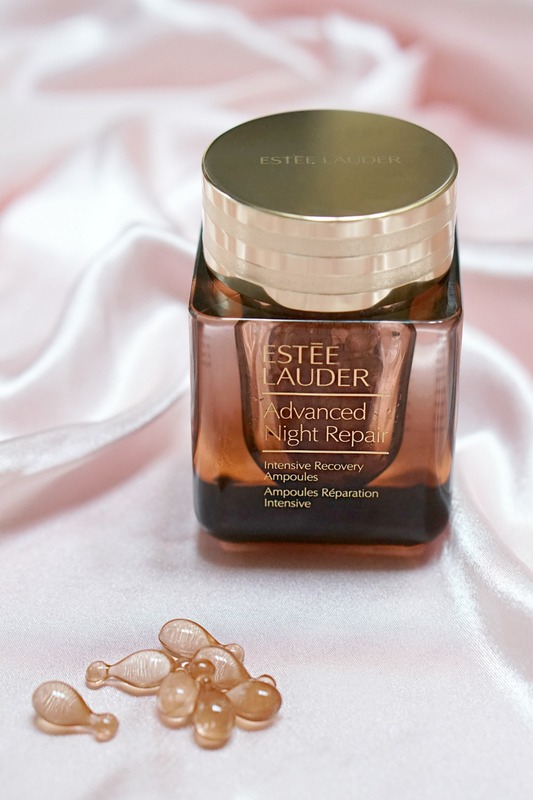 A few years ago, when I was on a mission to find a perfect anti-aging product that will prevent wrinkles, I found Advanced Night Repair Serum by Estée Lauder and totally fell in love with it. I used it consistently for a few years and always included it into my holiday wish list and then… the Style Sprinter blog happened. 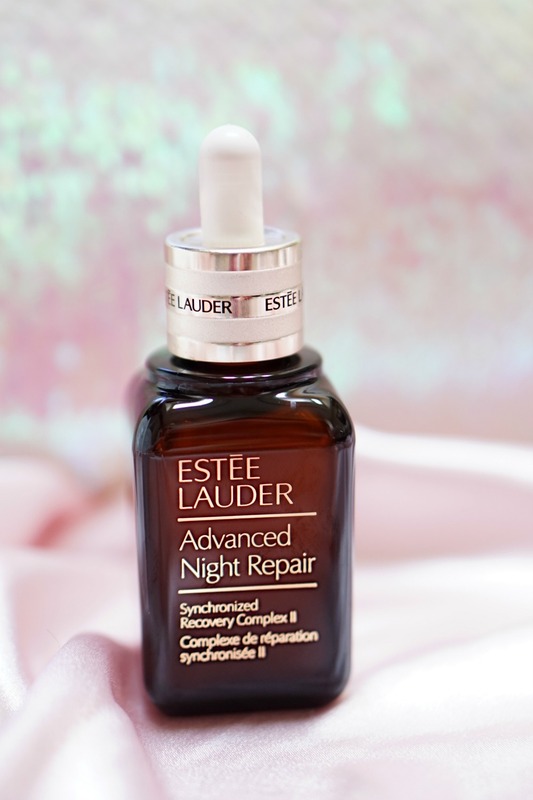 Since I’ve dedicated my blog to serve you, dear readers, with continuous skincare and makeup reviews, I switched my attention to other products that come out on the market so I didn’t have much time to use the Advanced Night Repair (ANR) serum lately. Imagine how thrilled I was when a PR package came my way featuring not only my favorite Estée Lauder serum, but also other products from the Advanced Night Repair line. I felt that I have a legitimate excuse to stop all other skincare trials and concentrate on testing the products that I already used and loved before. Needless to say, my skin was very pleased with this decision and rewarded me with the weeks of plumpness and a prolonged acne-break. 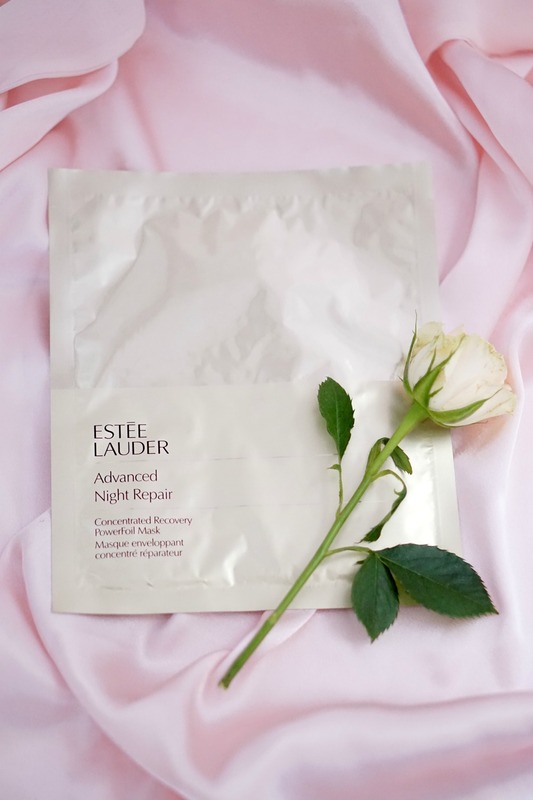 I bet you are dying to learn about all of the Estée Lauder goodies that I’ve been testing lately so let’s jump into my review on the majority of products from the ANR line. As mentioned above, it’s the product that initiated my obsession with the ANR line. Basically, it’s a serum that you apply after cleansing and toning your skin at night for all sorts of anti-aging benefits, from skin hydration and smoothing to improving skin radiance and reducing wrinkles. What I didn’t know prior to receiving this product was that Estée Lauder recently reformulated this serum (that’s why it’s called Recovery Complex II) to include even more anti-aging ingredients. As far as I remember, it feels and smells exactly the same as the previous version—not to mention that it’s equally effective with fighting signs of aging. I have a combination skin type and this serum works really great for me as it’s oil-free so my T-zone is not getting clogged while using this serum. Since the serum features a super light and quickly absorbing consistency, it feels very light and not-sticky on the dry parts of my skin. I also appreciate the fact that the serum is not fragranced which makes it suitable for sensitive skin (my skin is not overly sensitive as of lately, but it has its moments so I have to be careful). Overall, I would give this product 10 out of 10 when it comes to the effectiveness. My opinion seems to be supported by many other girls worldwide as this product has been named the #1 repair serum in the U.S. That’s quite an accomplishment, right? Price Tag: $65 for 1.0 oz., $95 for 1.7 oz., and $185 for 3.9 oz. at EsteeLauder.com. Even before I started using those single-use ampoules, I already knew it would be awesome—because how could not a product that looks so cool? I was also impressed with the idea of how hygienic such packaging is. Instead of digging into a bottle with serum or oil and contaminating it, all you have to do is to open each individual ampoule that contains the exact amount of product needed for each application. It’s pretty genius, right? When it comes to the effectiveness of the concentrate, I felt that it works really good in a combination with serum. Essentially, this product is oil that goes on top of the serum for even deeper hydration and nourishing of your skin. The concentrate is not gooey though and it absorbs into skin immediately. You will notice an oily finish on your skin immediately after application, but it goes away the second you apply a night cream on top of it. Talking about night creams, I didn’t have the one by Estée Lauder on hand so I used my La Mer moisturizer. I felt that such combo (serum + oil + night cream) did a very good job and overall improved the condition of my skin. Price Tag: $110 for 60 Capsules at EsteeLaunder.com. 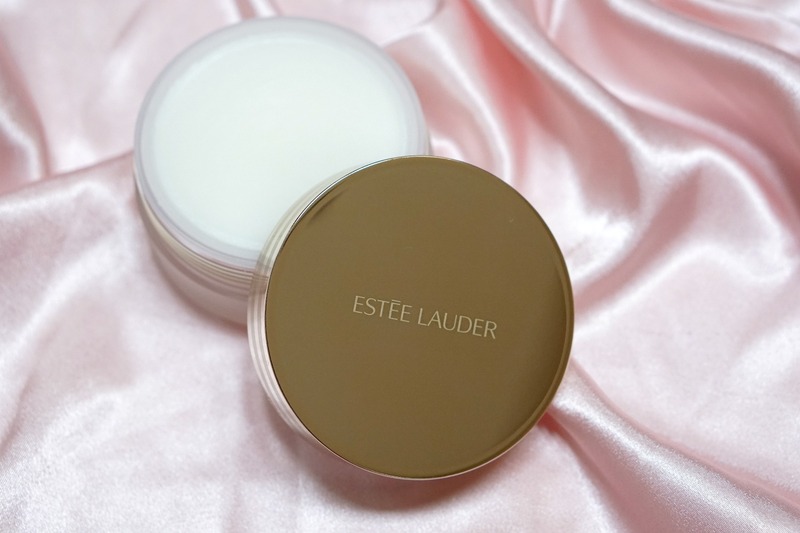 This night cream was another products that I used and loved before. Not only a few years ago (in a combination with the ANR serum) but also lately. I received a deluxe sample at Sephora and used it all the way through. 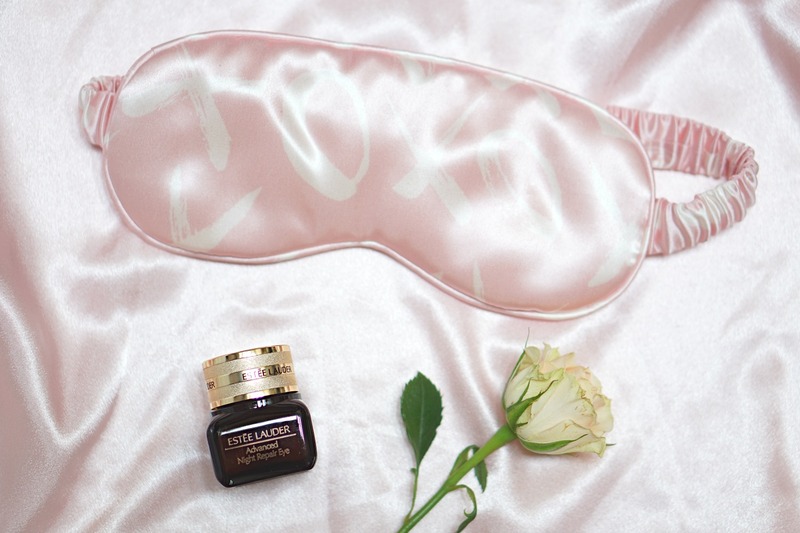 If you have wrinkles around the eyes areas as I do, this eye gel is a really good one. Usually, I prefer a cream or oil formula for my eyes (like this one by Retrouve), but this particular gel is a nice exception from the rule. In fact, I feel that the lightweight formula of this eye complex actually helps the product to easier absorb into skin. To be honest, even though it’s technically a night time product, I use it throughout the day too. Since it’s a gel product, it creates a perfect base for applying eyeshadows without making them crease or move. Also, you probably heard many times that my eyes are sensitive (mostly because I’m wearing contacts), but this product did not cause any irritation which is a great sign! Price Tag: $60 for 0.5 oz. at EsteeLauder.com. This is the only product from the line that I didn’t use that much. Not because it’s not effective, but due to the fact that I prefer removing makeup with micellar water instead. I know, cleansing balms are super trendy right now and everyone seems to be obsessed with those products, but I don’t find myself using them on a regular basis. I used this particular product only a few times when I wore a heavy-duty foundation and a whole contouring and highlighting game on. The balm worked miracles as it melted heavy makeup in a matter of seconds. Saying so, I believe that this product could be a great option for “full glam everyday” kind of girls. I would suggest using the balm as step one in a makeup removing process, followed up with a gentle foam cleanser. Keep in mind that you can use this same product not only to melt your face makeup, but also for the eyes (just don’t open them while doing so). The product doesn’t come with a washcloth, but if it’s your preferred method for using cleansing balms, that trick will totally work with this product. Price Tag: $45 for 2.5 oz. at EsteeLauder.com. 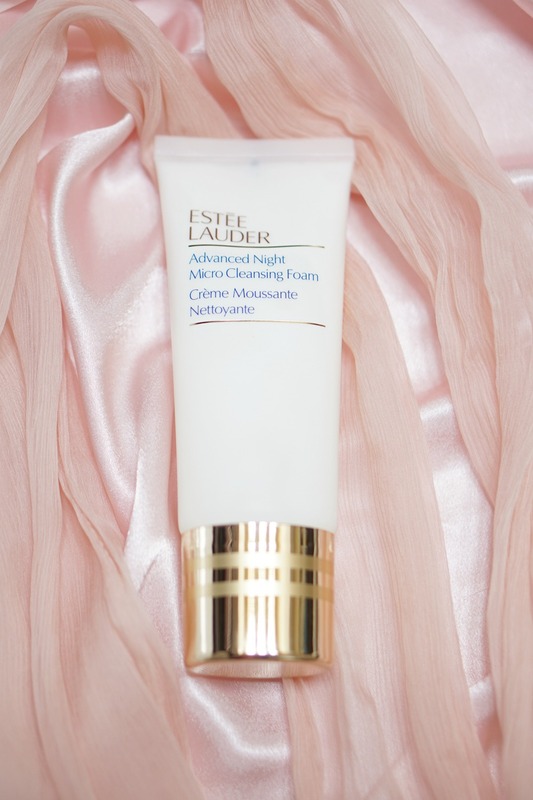 Talking about the second step of the cleansing process, this foam from the ANR line really worked for me. It is a very light, airy product that has a luxurious feel to it while removing the leftovers of makeup and smoothing the skin. It has a pleasant scent to it and is not irritating to my skin. I also enjoy the fact that it’s foamy, but not too much. I started testing this cleanser a few weeks ago and it turned out to be the only cleanser I’m currently using. In fact, I love it so much that it made it into my February favorites post. This product is more pricey than your typical cleanser, but I believe that it’s totally worth it. In fact, I already know for sure that I’ll be repurchasing it when I’m over. Price Tag: $30 for 3.4 oz. at EsteeLauder.com. In addition to the above-mentioned products, I also received an overnight mask and eye patches by the brand that I’m planning on testing those in an Instagram video. Based on my previous IG videos you really loved this new format so I’ll continue sharing those with you. 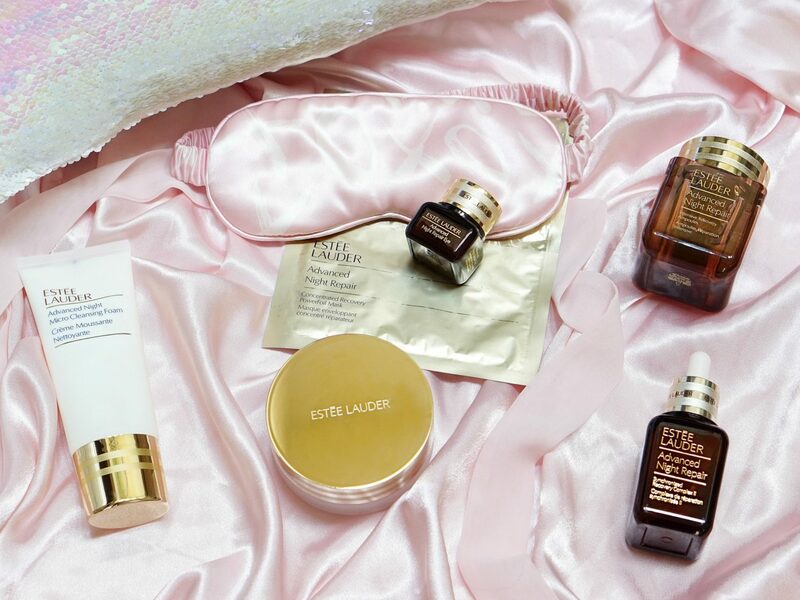 I wonder if you tried any of the products from Estée Lauder Advanced Night Repair line? What are some of your favorites?